To claim this profile, please confirm you are Esmeralda Morales. To follow this profile, please let us know your relationship to Esmeralda Morales. RESULTLoss Girls varsity basketball vs. Edmonds-Woodway. The Bethel varsity basketball team lost Wednesday's neutral playoff game against Edmonds-Woodway (Edmonds, WA) by a score of 54-45. This game is part of the "WIAA 2019 Girls Basketball Hardwood Classic - Class 3A" tournament. RESULTLoss Girls varsity basketball vs. Mt. Spokane. The Bethel varsity basketball team lost Friday's neutral tournament game against Mt. Spokane (Mead, WA) by a score of 63-32. 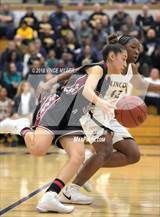 Esmeralda was tagged in the video "4 Steals vs Vs Peninsula." RESULTWin Girls varsity basketball vs. Peninsula. The Bethel varsity basketball team won Saturday's neutral playoff game against Peninsula (Gig Harbor, WA) by a score of 58-47. RESULTWin Girls varsity basketball vs. Prairie. The Bethel varsity basketball team won Friday's neutral playoff game against Prairie (Vancouver, WA) by a score of 54-37. Esmeralda was tagged in the video "8 Steals vs Yelm." The Bethel varsity basketball team won Wednesday's neutral playoff game against Yelm (WA) by a score of 73-42. Esmeralda was tagged in the video "Game Highlights vs Stadium ." Esmeralda was tagged in the video "4 Three Pointers vs Spanaway Lake." RESULTWin Girls varsity basketball @ Spanaway Lake. The Bethel varsity basketball team won Thursday's away conference game against Spanaway Lake (Spanaway, WA) by a score of 69-44. Esmeralda was tagged in the video "3 Three Pointers vs Bonney Lake." The Bethel varsity basketball team won Tuesday's home conference game against Bonney Lake (WA) by a score of 57-42. Esmeralda was tagged in the video "3 Three Pointers vs Wilson." 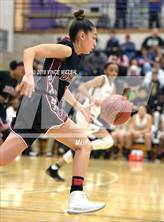 The Bethel varsity basketball team won Friday's away conference game against Wilson (Tacoma, WA) by a score of 64-51. The Bethel varsity basketball team won Wednesday's home conference game against Lakes (Lakewood, WA) by a score of 70-50. RESULTWin Girls varsity basketball vs. Stadium. The Bethel varsity basketball team won Friday's home conference game against Stadium (Tacoma, WA) by a score of 61-29. RESULTWin Girls varsity basketball @ Mount Tahoma. The Bethel varsity basketball team won Wednesday's away conference game against Mount Tahoma (Tacoma, WA) by a score of 58-26. Esmeralda was tagged in the video "8 Steals vs Graham-Kapowsin." RESULTWin Girls varsity basketball @ Graham-Kapowsin. The Bethel varsity basketball team won Saturday's away non-conference game against rival school Graham-Kapowsin (Graham, WA) by a score of 60-29.